Dubai: Tech Mahindra, a specialist provider of connected solutions, has signed a joint venture agreement with Midad Holding, which is a subsidiary of Al Fozan, a pre-eminent group with diversified business interests in Saudi Arabia. The joint venture will be called Tech Mahindra Arabia, it was announced here. Tech Mahindra will have 51 percent ownership while Midad will own 49 percent stake in the joint venture. Headquartered in Al Khobar, Tech Mahindra Arabia will also have presence across other major cities in Saudi and will be functional post the regulatory approvals. The process of Satyam Computer services Ltd's merger with Tech Mahindra is finally complete, Tech Mahindra Vice Chairman Vineet Nayyar announced on Tuesday. Announcing the completion of the amalgamation process, Mr. Nayyar said that the two companies had become one, which would be called Tech Mahindra. The Tech Mahindra Vice Chairman said, "All the process and procedures required for amalgamation of Satyam with Tech Mahindra are complete. As I speak to you now, we are one company." The proposed merger of Mahindra Satyam with Tech Mahindra has been delayed by six more months. In a filing with the Bombay Stock Exchange (BSE), the company revealed that its board of directors postponed the merger plan up to September 30, 2013. BT, the biggest fixed-line telecommunications company in Britain, will offload its remaining 9.1 per cent stake in Tech Mahindra today. Emerging reports suggest that BT will sell its 1.16 crore shares in Tech Mahindra via block deal, and exit the Indian information technology services group that it had co-founded more than twenty years ago. The floor price has been fixed at Rs 855 per share, and the stake sale is expected to raise nearly $183 million for the British telecommunications giant. 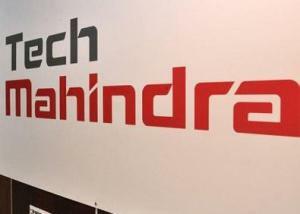 Tech Mahindra, a subsidiary of vehicle manufacturer Mahindra & Mahindra, on Tuesday announced that it had acquired call centre Hutchison Global Services (HGS) for $87.1 million (about Rs 482 crore). The acquisition of HGS, the call centre arm of Hutch, will allow Tech Mahindra to expand the reach of its IT and BPO businesses further. As part of the deal, Tech Mahindra also gained HGS' clients who committed business worth as much as $845 million over next five years. British telecom firm BT Group Plc on Thursday hacked its stake in Tech Mahindra by 14.1 per cent, from 23.16 per cent to 9.1 per cent. BT, the largest fixed line telecom firm in Britain, sold its 17.9 million shares in Tech Mahindra to institutional investors at a price of Rs 777.73 a share. The sale raised Rs 1,395 crore for the British firm. The British firm sold share through a series of open market transactions on the Bombay Stock Exchange and National Stock Exchange. The sale process was managed by global investment bankers Credit Suisse and JP Morgan. BT Group Plc, Britain's leading fixed line telecom company, is reportedly cutting its stake in Tech Mahindra Ltd by around 5 per cent through the share sale. Two people with direct knowledge of the situation revealed on Wednesday that BT is selling around a fifth of his shares in Tech Mahindra in the price band of Rs 735 to Rs 790 each. The sale is expected to raise about $100 million. The reported price band represents a discount of five to twelve per cent from the stock's Wednesday closing price of Rs 834.90 a share. Satyam's class-action suit settlement amount is taxable in India, the Authority for Advance Ruling (AAR) has ruled. Pronouncing its ruling pertaining to Satyam and PwC class-action suit in the US, AAR ruled that 30 per cent TDS would be deductable to the payment made to settle the suit out of the court. While Satyam agreed to pay $125 million to PwC to settle the suit, PwC will now have to pay around $25 million in tax. Technology services provider Mahindra Satyam has declared Q1 results with better than expected numbers. The company has registered Income of Rs 1738 crore in Q1 compared to Rs 1550 crore during Q4 last year. The net profit is lower than Q4 at Rs 332 crore compared to Rs 446 crore. Market experts were expecting the company to register nearly 50 per cent decline for quarter-on-quarter basis. IL&FS Financial Services (IFIN) is opposing the way in which accounts are being handled at Tech Mahindra, which acquired tainted IT company, Satyam. IFIN is a shareholder and might prove to be a roadblock in completing the takeover of the company. It says that it is opposed to the way accounts are being reorganized in Satyam's accounts. The merger will result in the creation of the fifth largest software services exporter in terms of market value. The shares of Tech Mahindra and Satyam Computer Services have risen more than 3 per cent on Thursday following the approval of the merger of the two companies by the board. The board of the Tech Mahindra has given its approval to the merger of the company with Mahindra Satyam, a move that will result in the creation of the fifth largest software services exporter in terms of market value. The revenues of the combined entity will be about $2.4 billion and it will have more than 350 clients in different locations and in different locations, according to a statement from Tech Mahindra on Wednesday. Tech Mahindra, the IT services arm of the Mahindra & Mahindra group, has reported an increase of impressive 60 per cent in its net profit in the second quarter of the financial year to 2.4 billion rupees. Tech Mahindra’s Mahindra Satyam had recently announced a better than expected second quarter results. However, the company has expressed concerns over the debt crisis in the Eurozone that could impact the demand for It enabled services from India. Technical analyst Ashish Chaturmotha of IIFL Wealth is bullish on Tech Mahindra Limited and has maintained 'buy' rating on the stock to attain a target of Rs 770 in the shot run. According to the analyst, the investors can buy the stock with a stop loss of Rs 715. The stock of the company, on March 15, closed at Rs 734.65 on the Bombay Stock Exchange (BSE). The share price has seen a 52-week high of Rs 934.35 and a low of Rs 558 on BSE. Current EPS & P/E ratio stood at 64.81 and 11.48 respectively.